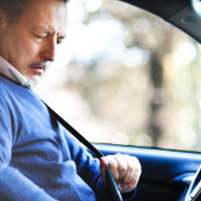 Losing your licence with AARTO demerits: Are we there yet? Although a launch date of 1 April was announced last year, changes to the legislation are afoot (the extended closing date for comments is reportedly 10 March) and it seems very likely that we are actually looking at a launch date later in 2016. Whilst we law-abiding motorists will welcome the crackdown on serial traffic offenders, we also need to manage the risks. Every motorist, every professional driver and every transport operator will be at serious risk of losing their licences/operator permits. Even businesses outside the transport sector will need to manage this – what happens if your sales people are grounded or your office staff can’t drive to work? We’ll give you full details of the system once the legislative changes are in place and a definite start date is announced. Watch this space!